Barwari died, at age 52, in the Kurdistan Region capital of Erbil. He was born in 1966 in Dohuk (located in northern Iraq not far from the Turkish border). A Kurd and former member of the Peshmerga , he was a part of ISOF since its inception in 2003. 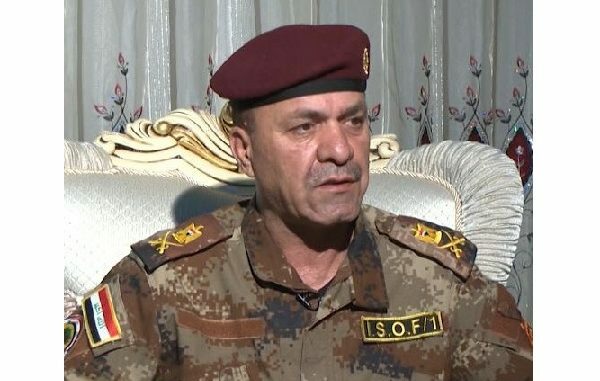 Extremely active in social media, Barwari was outspoken in emphasizing the non-sectarian and non-ethnic nature of ISOF and CTS, which he came to personify as a high-ranking Kurdish officer serving in the Iraqi Security Forces (ISF) after 2014, when many Kurds left to join the Peshmerga. Barwari participated in almost all the major battles against ISIS and was immensely popular in Iraq; during the height of the anti-ISIS campaign, his image was everywhere on the internet. Always a public figure, before the rise of ISIS in 2014, he was often misidentified in the Iraqi press as the overall commander of the CTS instead of as the commander of the 1st ISOF Brigade. His brigade was the oldest and most proficient of the three ISOF brigades in CTS and had a reputation for providing care for civilians and avoiding civilian casualties. The 1st ISOF Brigade was the spearhead force of CTS, containing its most elite units, and CTS as a whole is largely credited as the primary force Iraq depended on to liberate urban areas from ISIS. Barwari, never without a cigarette, had an easy-going nature, was very pro-US, and was considered extremely easy to work with by US advisors and trainers. He maintained close relationships with senior US special operations forces (SOF) leaders throughout the years, and he repeatedly emphasized his close U.S. ties. Following his death from a heart attack in September 2018, mourning gatherings for him occurred in many locations in Iraq. The gathering in Baghdad was attended by Iraqi Prime Minister Haider Abadi. Iraq has lost a central icon that made Iraqis proud of the unity of their nation as a place where all sectarian groups and ethnicities can live and work together to achieve a common purpose. The Peshmerga are the military forces of the federal region of Iraqi Kurdistan. Formally the Peshmerga are under the command of the Kurdistan Regional Government; however, much of this military organization is affiliated with two regional political parties – The Democratic Party of Kurdistan and the Patriotic Union of Kurdistan. Major General Fadhil Jalil Barwari is interviewed by TRT World (Turkey), published online on December 5, 2016 (7 mins). Photo: MG Fadhil Barwari, CJTF-OIR Twitter, September 22, 2018.